China and India face the biggest dependency on external energy supplies among the world’s rising powers. Having outgrown their domestic energy sources both countries are looking abroad to meet their growing power needs. In its quest to challenge China’s pre-eminence in Asia through industrialisation and economic growth, India will be forced to draw ever more on the oil wells of the Gulf states, although its private oil firms have invested abroad, particularly in Africa, they have trailed in China’s wake, hampered by a lack of cohesive government backing. In contrast there was nothing haphazard about China’s entry into the world of overseas oil exploration, as soon as the country’s demand began to outstrip its own domestic supplies, the government directed its state owned oil companies to begin securing supplies from abroad. The pursuit of crude all part of the country’s wider “going out” strategy. This strategy itself a revival of its earlier efforts to assist African countries in 1960s, immortalised in the Tan-Zam railway, at once a classic example of south-south cooperation and a sombre reminder that grand infrastructure projects need long term nurturing by a capable state, and protection from the vagaries of the copper market, the line’s original raison d’etre. Chinese oil companies were the arrivistes of the global oil industry, wealthy, ambitious, but lacking the high tech drilling technology and years of experience that the western majors have. Instead the Sinopec and the others were left with the politically risky, authoritarian and downright dangerous countries in which to develop much of its international portfolio. Early deals to secure oil with Angola passed relatively unnoticed. Angola was a conflict ridden state forgotten by the major powers, after the end of the Cold War factions backed by the CIA, KGB and others were quickly dropped, suddenly unimportant in the wider context of a post-Soviet and Socialist world. Angola had an embattled, war-exhausted government faced by a number of rebel groups, now stripped of the veneer of ideology on one side and the IMF at the height of the Washington Consensus on the other, which demanded fiscal responsibility in exchange for credit. The Angolan government’s failed multiple IMF programs throughout the 1990s, thanks to its unhealthy mixture of poor governance, massive demand for government spending, propped by short term lending from European banking powerhouses. The Chinese entered this scene with an innovative compact, or the “Angola Model” which would be copied across countries in Africa, Latin America and Asia. Chinese finance offered usually commercial rates of interest with a long repayment period. Unlike the IMF or World Bank, crucially China did not insist on any changes to government policy. How Chinese finance mutated into its unique form was the use of the loan, Angola’s colonial neglect followed by years of civil war had destroyed its infrastructure, the credit from Beijing was specifically earmarked for the rebuilding of the country. While many critics of China see its role in Africa as a master plan, to control natural resources, but this ignores the fact it also saw a unique business opportunity in Africa. Angola benefited from selling China more oil at a time of rising prices, at the same time Chinese construction firms began building much needed roads, bridges and buildings across the war-torn, landmine riddled country. In the words of the Chinese it was a “win-win” situation. Angola found a willing buyer for its oil and got Chinese expertise for the rebuilding of the country, whose construction firms would charge a fraction of the cost a western firm would. With regard to the Chinese oil plays across Africa, the fact is they were taking the scraps left by the Western majors with little choice but to take acreage in whatever tough, remote or expropriation happy regime which remained. But the Chinese government is also playing a deeper, longer term game by engaging with African governments, through a mixture of flattery, non-condescending friendship and non-interference, tied with win-win business partnership rhetoric. Beijing has given every Chinese company pitching for business in Africa an advantage through the use of political energy and persuasion and the tireless work of its diplomats in pushing Chinese interests. Closer to home China has identified a weakened seller in Iran, the country has a one of world’s biggest reserves of oil and gas, but its defiant stance against a belligerent US has cost it dearly in terms of trying to sell its main export earner. China, citing the non-interference policy has politely ignored the demand for US sanctions, and has continued trading with Iran, but it has to play a subtle game with the Americans, as sanctions remain high on the political agenda. The Chinese do not want to anger the US, but do want their foreign policy space invaded either. The vast Central Asia state of Kazakhstan has also become a major supplier to its Eastern neighbour, despite moving the capital to Astana which is closer to Moscow and joining the Russian dominated Eurasian Union, the country’s economic centre continues to be Almaty, nestled in the mountains close to the Chinese border. Another state to fall into the Chinese orbit is the secretive, Soviet era relic, Turkmenistan, which has incredibly rich Caspian gas resources, before the emergence of China as an energy supplier, the gas pipeline used to point towards Russia, supplying it with natural gas, which could be controlled and sent to Europe. The construction of a pipeline to Xinxiang in western China has allowed President Berdimuhamedow to break the Russian gas monopoly and develop a new link, both physically and politically with China. The movement of the ‘Stans of Central Asia into China’s economic influence has led to the suggestion that there is a new “Great Game” abound in the region, a reference to the 19th and 20th central war of shadows between Russia and the British Empire, a series of expeditions, espionage missions and intrigue in a remote and dangerous part of the world. Proponents of the new Great Game has the US, India, Pakistan, Iran, Turkey, Russia and China all vying for energy and influence in the region. US influence, always tenuous, is likely to recede once the withdraw from Afghanistan is complete; the military base in Kyrgyzstan is merely scaffolding for the pacification of Afghanistan and closure is planned. 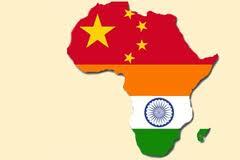 The Chinese demand for energy could be soon partially matched by that of India. Having little in the way of its own energy resources, apart from coal, which is extremely dirty and limited in usage, India will have find alternative sources, which appears to be expensive and will create energy security issues. The Indian Government faces the multi-faceted dilemma of how to continue powering economic growth, which traditionally requires tremendous energy input, the EIU estimates this to be 54% increase between 2011 and 2020 a reliance of oil and gas imports from outside countries, which will create vulnerability in terms of energy security. India could turn to energy efficiency, renewables and nuclear power to help fill this energy gap, and no doubt, this will be part of the answer, but the country will also still have to look to gas and oil to fill the gap. Previous Previous post: Where Do Blood Diamonds Come From?